Introduction: For the early Middle Ages, no country in Western Europe can boast of such wide documentation as Anglo-Saxon England.’;- One of the interesting aspects of its cultural history, which started with the Germanic invasions in the course of the fifth century and ended with the Norman Conquest in AD 1066, is that it passed from a pagan Germanic into a Christian society. Studying the position of widows in this period, therefore, implies an awareness of two traditions which have often blended to a degree where it is impossible to distinguish them. Moreover, the nature of the available sources, varying from epic to sermon and law, and composed in different periods and places, should alert us to the danger of making a monolith picture of the Anglo-Saxon widow. We should also bear in mind that most of the extant documents were produced by and intended for the upper crust of a mainly illiterate society. Because of these restrictions, what we discover of the image of widows will necessarily be of a mixed nature. The Anglo-Saxons had two specific words for designating a woman whose husband had died. The more common one was widuwe and variants, a word with cognates in most of the other Germanic languages (but not in Scandinavian), in Slavonic, Prussian, Latin or Sanskrit – in other words, it belongs to the common lexicon of Indo-European. Like most other earlier stages of these languages, the Anglo-Saxon had no masculine form of widow, ‘widower’ in English being a neologism of the late fourteenth century. The absence of masculine forms in earlier times undoubtedly reveals that the woman as the one who had lost a partner was the marked person in society, whereas the widower was in a less vulnerable situation and freer to choose a new partner. His was not a recognized and permanent position. The other word used with some frequency for designating a widow is laf, literally ‘what has been left behind’. It always occurs in the combination ex,s far and never in the generic sense. This term defines the widow in relation to her deceased husband. Thirdly, in certain contexts wif, ‘woman who is not a virgin’, can also mean ‘widow’, a conclusion which is corroborated by its being used to translate Latin vidua. 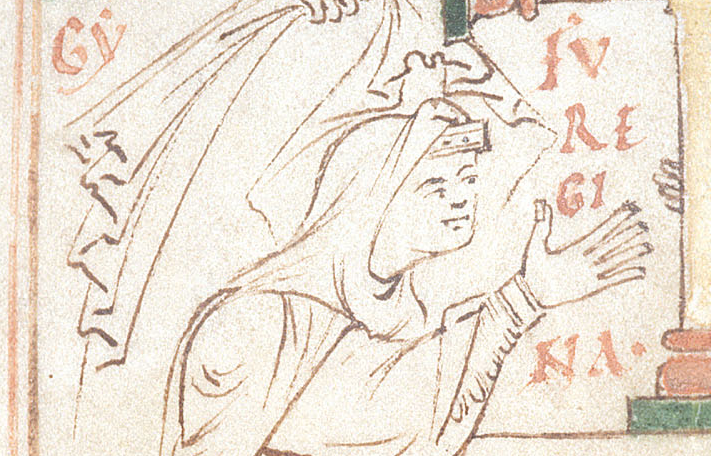 A variety of words for designating a widow suggests that such a woman occupied a place of some conspicuousness in the social relations of the Anglo-Saxons. For a proper insight into the nature of that place, we will first turn to the laws.